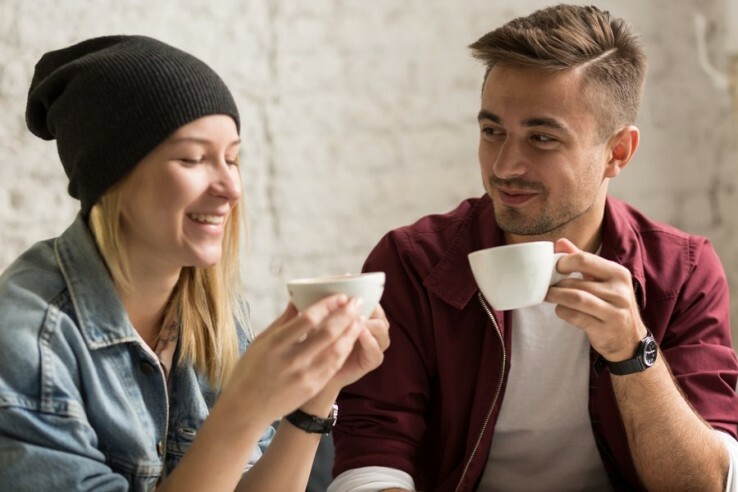 So you’re looking for some coffee date tips? Well you came to the right place! first date option, it’s also one of the most economical date choices and actually offers a lot of flexibility for post-date fun and a quick follow-up date if you are both liking one another. not compatible or attracted to. Prior to your date make sure that you have done enough research on your date so that you already have an idea of what you’d like to get out of your date. Depending on how long you’ve been “courting” one another, there are things that you probably are interested in knowing about this person. If you do have a lot of information about the person, be sure to mention what it was that intrigued you to meet this person and compliments certainly help to break the ice! If you’re a guy know what women want in a man and ladies also do your research. What’s important to “get” from your date without having them feel like you are a professional interrogator or asking a million questions, is to make sure that you are as good a listener, as you are at asking questions. Understand what appropriate 1st date conversation is. Be conscious that conversation is a 2 way street. If you catch yourself doing all the talking, be sure to ASK a question. If your date seems a bit shy, then try to break the ice by sharing something interesting about yourself that he/she will find amusing or ask THEM something that you’re curious about such as the things they like to do for fun. Or what is the next vacation they are planning. How about talking about their bucket list and comparing notes? Speaking about work can be a touchy subject for some people especially if they don’t enjoy the work they do. But asking about work in a roundabout way or creative way can help break the tension as well. Such as “What do you see yourself doing in the next 5 yrs?” You could talk about what their dreams and goals are or if they have any. How do they plan to get there? Anyway it’s just a date, so relax! Enjoy yourself and Good Luck! !